Come and say hello to UKSA if you’re going to the Sea Cadet National Regatta on Saturday. 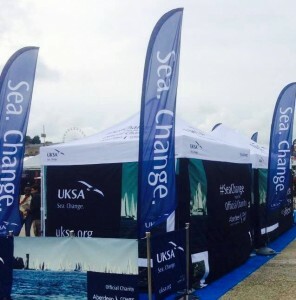 We will have our stand there and we will be taking our windsurf simulator – come and try it out! If you are interested in a career on the water but you don’t think you can afford it, you might be surprised by the many different funding options we have available. Our Sales Manager, Morgan, will be on hand to tell you about the opportunities that exist for you. For example, our Watersports Instructor Diploma is free for the right candidates and part-funded for many others. Many of our courses now have guaranteed interviews with big industry employers. Our flagship Superyacht Cadetship can be accessed thanks to bursaries from big maritime organisations such as Trinity House and Seafarers UK. There’s more in the pipeline to help young people access careers on the water so get your name down with Morgan and we’ll keep in touch. We’ll help you make that leap from your school desk to the yacht deck.